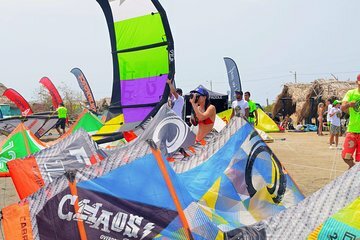 Learn to kiteboard while on vacation in Cartagena during this 90-minute lesson. This lesson starts with the very basics, so that even beginners can enjoy the experience. Learn safety precautions, steering, and flight control before heading out on your own on the water to give it a shot. The combination of expert instruction and independent fly time appeals to all kinds of travelers.